AAaaaand, then there was that day I went crazy and made 2 camera straps for myself. Oh yes. 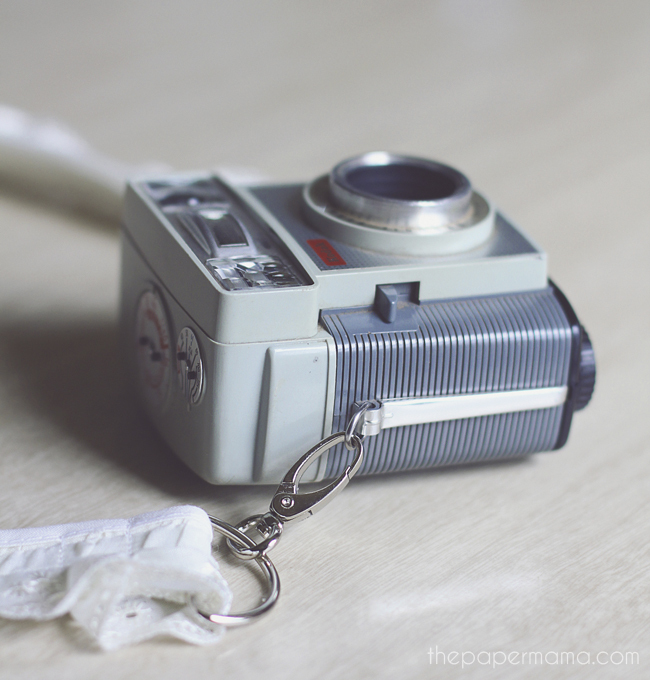 One day I just decided that I could make my own camera strap! 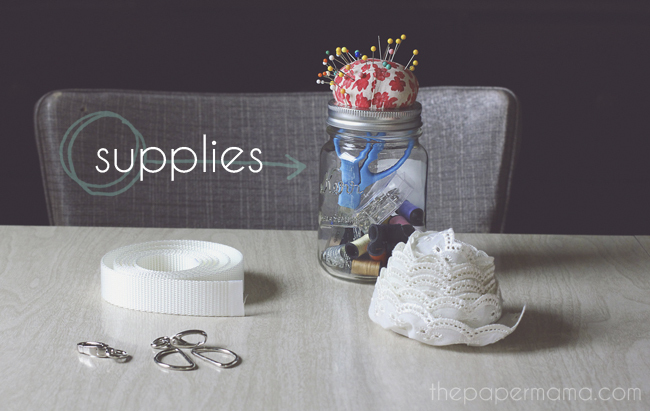 I’m slowly learning how to sew (really… I still don’t know how to thread a sewing machine…). One thing I do have down: stitching in a straight line. No problem. I got that. And, that’s exactly how I made these straps. 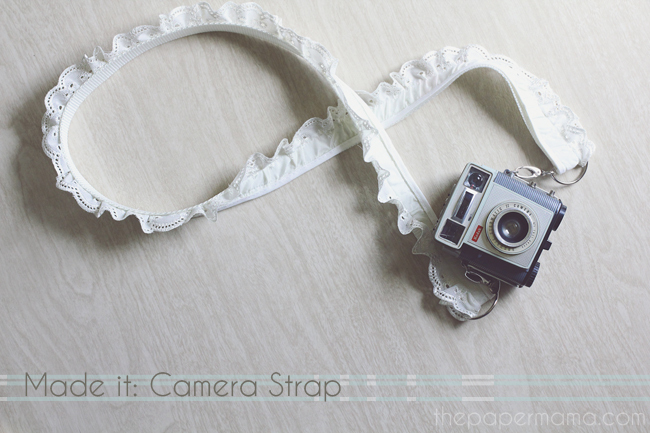 – Ribbon, lace, or whatever pretty fabric/material you’d like to decorate your camera strap with. – 2 D-rings (make sure they are the right size for your seatbelt material). – 2 swivel clasps (found at most craft/sewing stores in the bead or purse handle section). 1. Cut your seatbelt and decorative trim to your desired length. I just measured this next to how long my camera strap already is, plus adding 5 inches. 3. Pin your decorative trim onto the seatbelt material. Then, sew two straight lines. One on each edge of the seatbelt material (see arrows in photo above). 4. Slip one D-ring/clasp combo onto the end of the strap. Pull through about 2 inches and fold over. Sew two lines onto that 2 inches of folded strap (see arrows in photo above). And, repeat on the other side. You want to make sure your lovely camera stays attached!!! If you’d like… maybe add an “x” stitch for some extra hold. 5. 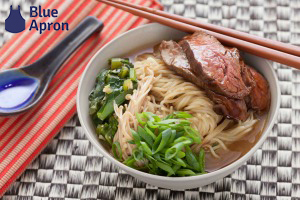 Snap your clasps onto your camera… and go! 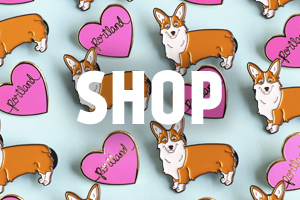 You are ready to snap away and look snazzy: all at the same time. These are so great; you did a fantastic job! 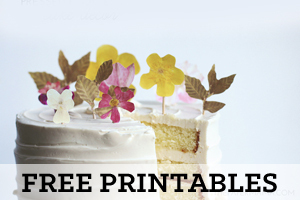 That ruffle one is just so pretty! 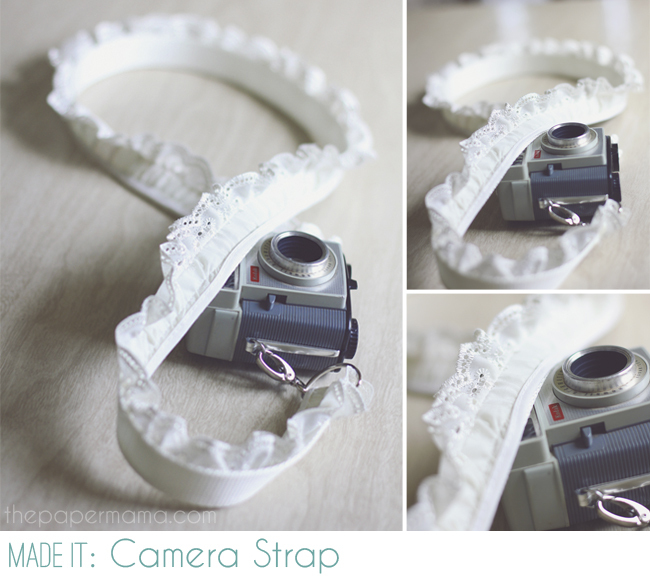 Wow…great tutorial and love the lace camera strap. I had seen some that had sequins or tulle that I liked and was going to buy…might try it myself now! 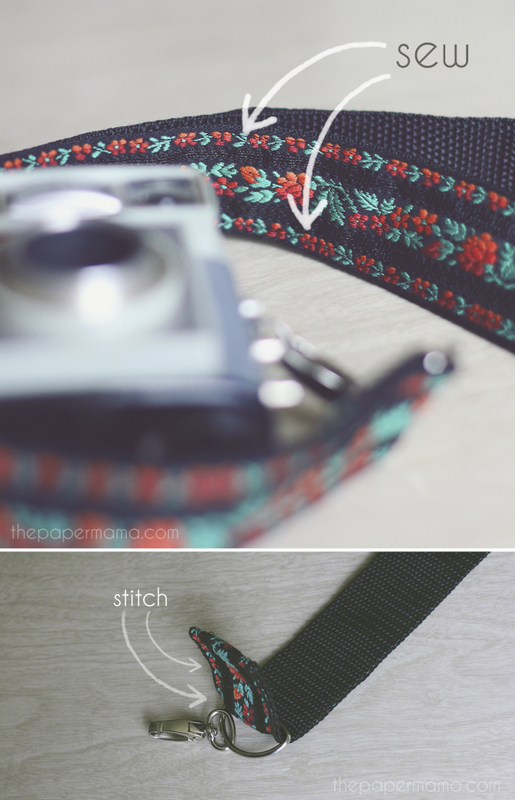 I really need to do this…I made my self a camera strap cover a looooong time ago but I kind of hate it now, ha! Time for a change! I love the black one too. But, I wear a lot of white and thought I should make a white strap. And, thanks! This is so pretty! 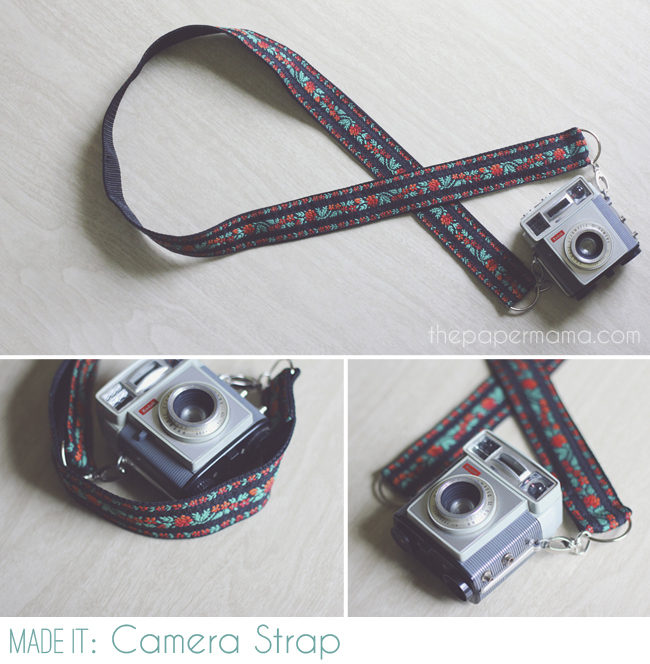 I love the idea of making my own fun camera strap. This is so going my to do list. It's nice… cause, now I can match them with my outfits. Lace for nights… the other for daytime. Ha!